Such practical achievements (the material prosperity of the German State Church following reunification) must be offset by the undoubted fact of the diminution of the churches’ influence in the general population. As in other western European countries, the spread of secular humanism has led to widespread abandonment of church attendance, especially in the cities, such as Berlin, where the percentage of the population attending church services was already notably low 100 years ago. Debate continues as to the extent to which this crisis of belief was caused by rejection of traditional Christian orthodox doctrines, or how far it was the result of external factors, such as the repressive actions of both the Nazi and Communist dictatorships. It is notable, however, that the overthrow of these repressive systems did not lead to a re-Christianization of German society, despite vigorous efforts by church authorities to achieve that end. A more durable explanation for the churches’ striking decline in prestige and credibility must be seen in the political behavior of the churches themselves, such as their overenthusiastic endorsement of extreme German nationalism and their misuse of theology to justify German war aims. So too the readiness of some church leaders to give approval to both the Nazi and Communist systems has induced a sense of disillusionment among a more skeptical population. This paragraph caught my attention for a number of reasons. First, secular humanism figured prominently in the decline of the German Church. I think it figures prominently in the potential decline of the church here in the States. Secular humanism simply means thinking and pursuing a way of life without reference to God or religion. Based upon what I’m learning, Berlin is the world’s epicenter for secular humanism. 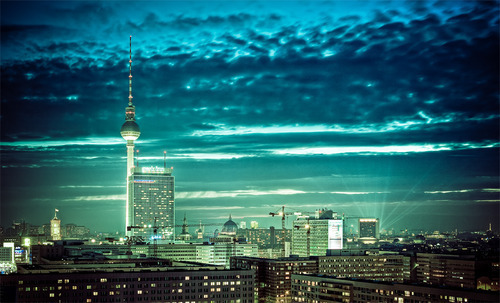 The need for the Gospel in Germany, and especially Berlin, is great. I believe faithful and effective ministry in Berlin can serve as an example for churches that are struggling to deal with the ever-strengthening grip of secular humanism here in the States. Second, the spread of secular humanism matters. You should care about it. The spread of secular humanism matters in the sense that the destruction of the rain forest matters or the possible extinction of honey bees matters. In other words, its spread is a big deal. The words in the article, “widespread abandonment of church attendance,” should haunt us. If this decline happened in Germany, the fountainhead of the Reformation, it can happen here in the States. Germany is a generation or two ahead of us in terms of the full flowering of a secular humanist way of life. Pastors and churches here who are unwilling to face the onslaught of this relentless impending storm, will end up overseeing churches in rapid decline. A ‘sandbagging’ mentality, where churches hunker down hoping to ride out this storm, won’t survive to pass on the faith to the next generation. 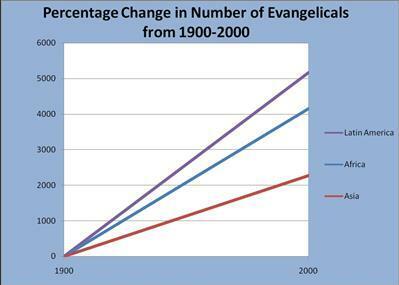 In the past century Evangelicalism increased at an almost exponential rate in the Global South and in Asia. What has happened in Europe? The exact opposite. Shocking, isn’t it? There are 739 million people in Europe. The need for missionaries to serve Christ and His Kingdom in Europe is as great as any place in the world. Obviously the reasons for this decline are vastly more complex than simply chalking the decline up to secular humanism alone. I realize that. However, as the article I quoted points out, the decline of the German Church began well before the catastrophic external events of the twentieth century (repressive Nazi and Communist regimes, church endorsement of extreme German nationalism, etc.) And the re-Christianization of Germany has largely failed even after Nazism and Communism were no longer threats. Some other force contributing to the decline was in play. This leads me to believe the greatest contributing factor to this decline was in fact the secular humanism spawned by the German Enlightenment. The good news is that God is at work in Berlin and in Germany. 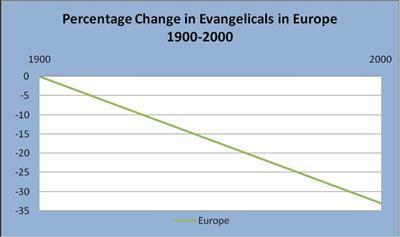 And the good news is that the rate of Church decline here in the States, if there is a decline-and that’s still debatable, won’t happen at the same rate as in Germany. The factors contributing to a decline here would be vastly different than those that caused the decline in Europe. But ‘vastly different’ is not ‘wholly different.’ Europe is our conjoined twin. We can’t ignore her. Instead, we must learn from Europe’s past. And we must keep a watchful eye on the progress of the Gospel in Europe’s future-especially in places like Berlin.